Last night we had a dinner-time discussion on what a Peep is. I have no idea how this came up. My kids don't remember what they are, so I gave them a description because I am feeling the urgency of what they don't know about America. Granted, I don't even like Peeps. And I am not looking forward to my children consuming them this Easter. Or, for that matter, any of the various forms of garbage that are disguised as food in America. But they should at least be able to recognize those marshmallow American Easter icons. We get on a plane exactly five weeks from today, and we'll be in California for four months. It's been almost three years since we were in America. My kids were 8, 6, and 5 the last time we were there. Now they are 11, 9, and 8. And then there's Johnny, who at age 5 has no conception of this mystical land we keep talking about. As the oldest, Grace has the most memories about the States. She also has an uncanny knack for remembering people and names. (I think she remembers more people than her Dad does.) But an 11-year-old is entirely different than an 8-year-old. This time, she will be experiencing America in an entirely different way. All of them will. We have thrust these dual identities on these children, whether they like it or not. I think I see it more acutely because our children have Tanzanian blood, are being raised in Tanzania, but by American parents. They've learned to say "Good morning" to white people and "Shikamoo" to brown people. They eat rice and beans multiple times every week, but wouldn't recognize a box of macaroni and cheese if it hit them in the face. We insist they use a knife and fork, but the children on the side of the fence eat with their hands. 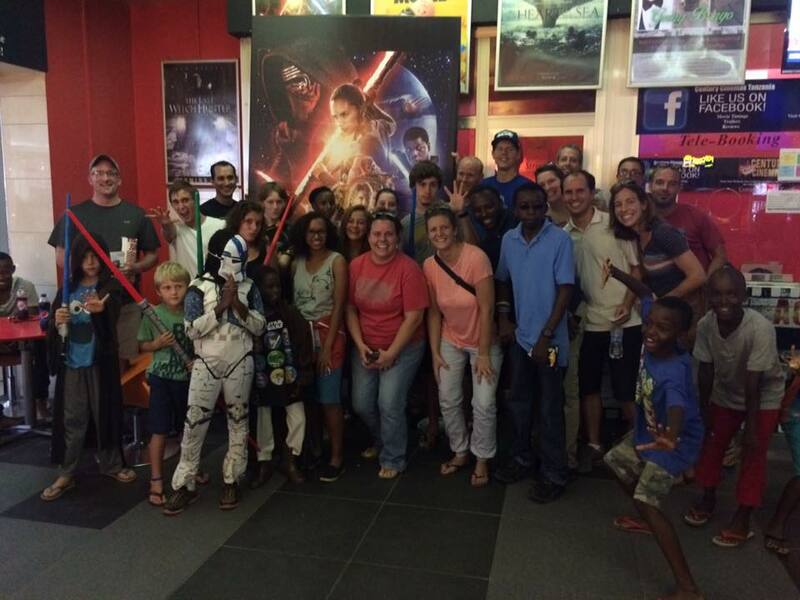 They saw The Force Awakens and Rogue One on opening day--both times--but they have no idea how amazing it is that they didn't have to wait in line. They know Pizza Hut is a special treat, but they think it's normal to rip up the box to make plates, since the restaurant here doesn't provide them. They are used to trying on used Nike sneakers at the local open air market instead of going to Payless. Oh, and they think sneakers are called trainers. They watched the last 30 minutes of the World Series and the Super Bowl--delayed, of course. But Josiah is insanely obsessed with (British) Premier League Soccer, which he insists can only be called Football. They came home from school asking if Trump is kicking all the black people out of America, because that's what their friends said. 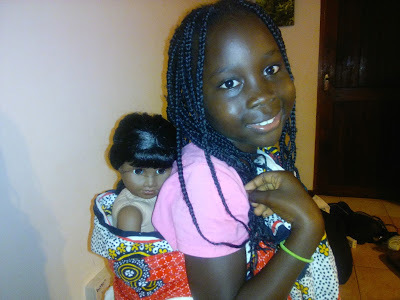 Lily loves her American Girl doll, but straps her to her back with a kanga, Tanzanian style. Josiah learned how to dab from....somewhere. He also learned that flipping bottles is fun. (Seriously? Of all the ideas America had to export?) But he doesn't know what a Peep is. I am incredibly grateful that my kids have Haven of Peace Academy, because there they have their own culture. 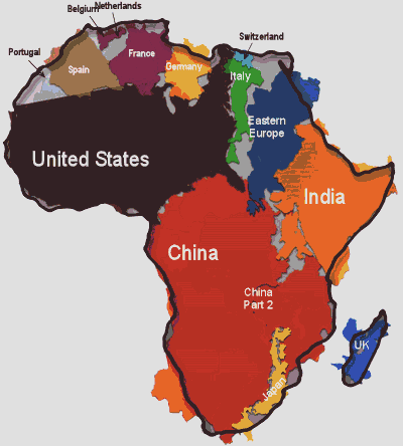 It's a mixed-up, semi-western, very international melting pot of ideas and cultures and trends. Most of the children there are confused about their ethnicity and identity, so my children fit right in. I'm thankful. But I also worry, because I've given these children American passports. And chances are good that at some point in their lives, they will be living there for a lot longer than just a few months. The great thing about kids is that they just go with it. My children have no idea that it's crazy that they have two passports, that they have already criss-crossed the world a number of times, that international travel is normal for them. Or even more, they haven't realized that it's unusual to grow up as Tanzanian children of American missionaries. I worry because this time around, they may start to feel that tension. They are kind of American, but kind of not. Kind of Tanzanian, but kind of not. The Third-Culture Kid paradox is even more acute because my children are adopted. Who are they? Who will they identify with? Where will they feel at home? That struggle looms large before them. They don't see it yet, but I do. I gave them this struggle. It is my fault. I have to trust that it was the right decision, that giving them a family will be worth the struggle in the long run. I chose this life for them, and all I can do is hope and pray that they continue to love it. That they become bridge-builders, reconcilers, peace-makers. That they ultimately find their identity as children of God and citizens of Heaven. Just a few months ago, Grace asked me what I was reading on my Kindle. It was If You Can Keep It by Eric Metaxas. "A book about American history," I told her. She replied, "The history of white people in America or the history of black people?" I was totally taken aback. "Uhhh....both," I stammered. "It's about about the Founding Fathers." But I couldn't stop thinking about it. My perceptive daughter was right. The American history of white people, and the American history of black people are not the same. I grew up on U.S. history books celebrating my country's foundations. Freedom, liberty, justice, equality for all. A city on a hill. Using money with my Founding Fathers' pictures on it. Seeing their names on bridges and roads and monuments. And yet...yet...yet....America granted freedom and equality only to some. For hundreds of years. While us white folks celebrate the roots of our equality and freedom, our black neighbors and friends look back at an entirely different history. One of chains and oppression. For hundreds of years. In fact, in our "Christian" nation, their oppression was government and church sanctioned up until as recently as 50 years ago. I've followed the rules of good trans-racial parenting and read my kids the books with black children and by black authors, and I've taught them African-American history. I remember the day when Grace said something to me about her "ancestors who were slaves." I corrected her, "Oh Honey, you are not African-American; you are just African...with an American passport. Your ancestors were not slaves." There was genuine relief on her face. "PHEW!" she said with typical childhood drama. And for the first time, I thought about what it must be like to know that your ancestors were slaves. It was a relief to Grace to know that hers were not....so what about all those who were? As a white American, I can find a comfortable place in my country's heritage of freedom and equality. But what about those who were given no part in that? Those whose ancestors were put into chains by my ancestors? Those who often still feel those effects? I've learned that in building a friendship, often the conversation that shifts an acquaintance to a friend is a discussion of each person's history. You can go for weeks--years even--of conversations about the present, about kids and weather and politics, and never really know a person. It's not until you start asking How do you feel about your childhood? What were your parents like? How did you meet your husband? that a friendship really starts going to another level. To really know a person, history matters. So when we think about the racial divide in America, why do us white folks want to keep the past in the past? It's very possible that many of us may be legitimately non-racist, open to friends and co-workers and neighbors of all races and ethnicities. But yet we as a society keep hitting against this towering wall between black and white. Could it partially be because we white folks fail to acknowledge our very different histories? That our black friends don't just want to be valued as people, but to be valued as black people? That they want to contribute to society, contribute to our lives, because their histories have something important to add to our own? We white Christians wax eloquent about racial reconciliation, and yet the Christian Church remains the most segregated institution in America. What are we doing wrong? Could it be that we are neglecting to listen, to learn, from our black brothers and sisters? Could we be missing out on something remarkable because we are unwilling to ask them, What does the gospel look like to someone with your history? How has it shaped your theology and your faith? Seems like we're the ones who are missing out. And in the meantime, alienating our brothers and sisters in Christ who long to be heard and understood. It's Black History month. Do we pay attention? Do we acknowledge that many of those who share the same citizenship and neighborhoods as us have a very different history? And therefore, a very different perspective that we can learn from? And do we consider how perhaps we need to not just learn about Black History in general, but Black History in the Church? Many say America was, and is, a Christian nation. And though I will readily agree that much of America's success came from our foundation on Christian principles, would a black Christian agree that America was a Christian nation? What are we communicating if we insist we are a Christian nation, but neglect to acknowledge that the enslavement and oppression of black people was decidedly un-Christian? By adopting four black African children, I am giving them my American citizenship. Simply because of the color of their skin, someday my children will take on the burden that all African-Americans have shouldered for generations. I'm hoping, for their sake, that the future of America will look better than it does now. But more importantly, I hope that they won't have to look far and wide for a racially integrated church. I hope that white folks will value their perspective not just because they are American, but because they are black and they are African. I hope people will seek out my children's perspective. I know I've already learned so much by being their mom. I hope the rest of the world wants to learn from them too. ***Anthony Carter's book is a great place to start increasing your understanding of the Black American Christian perspective. 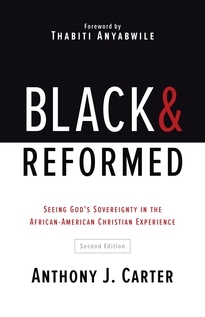 Black and Reformed: Seeing God's Sovereignty in the African-American Christian Experience. Last week was pretty exciting around here. First, our wonderful, long-time friends drove in for the week. Imani and her mom stayed with us, and Caleb joined Grace's fifth grade class on their epic 4-day trip to the Amani Rainforest. This trip is highly anticipated by every HOPAC student, and is often mentioned by seniors as their favorite HOPAC memory. I had the privilege of taking the first HOPAC elementary class to Amani way back in 2003. Gil and I later chaperoned a few other times. In fact, one year baby Grace went along! Gil got to chaperone this year, while I held down the fort at home. But it was so special to hear Grace's stories and see the pictures of places I had been with my class so many years before. Gil and Grace came home just in time for Lily's eighth birthday. My little introvert does better in small groups, so she had just a few friends over. They made Valentines, played Twister, and had ice cream sundaes. I keep telling my children to stop growing, but they just doesn't listen. I guess we better work harder on obedience. Sometimes I think I am a glutton for punishment. And yes, I felt like a zapped bug. 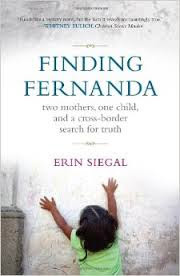 This time, I got to read 312 pages describing (in sordid detail) the stinking cesspool that was the Guatemalan adoption industry. And an industry it was, since at its height, thousands of children were exported from this tiny war-torn country every year. In fact, for several years, 1 out of every Guatemalan 100 babies were sold to America. And while thousands of American families fawned over pictures of "their" children, fixed up nurseries, and prayed desperate prayers, the millions of dollars being sent to Guatemala were being used by adoption agencies, lawyers, judges, and orphanages to manipulate, buy, or just plain kidnap children away from their mothers. And the pit in my stomach just continues to grow. As I've said over and over, I wish it wasn't true. I so desperately want to support all international adoptions--I really do. And it would be one thing if collectively the American Adoption Community looked at Guatemala and said, Wow, we really learned our lesson. We won't ever let that happen again. But the hardest part about all of this is that America still has not learned its lesson. It still is turning a blind eye. You might have read the post I wrote last year called Children Are No Longer For Sale in Uganda. After Uganda's adoption industry turned into its own cesspool, the Ugandan government finally got in control of it and passed some new laws. Perhaps the most significant of those laws is that any foreign adoptive parent needs to now foster the child in Uganda for one year before adopting. What does this mean? It means that some American adoption agencies are trying to get around the one-year fostering law by finding Ugandan families to "proxy foster" the child....until the requirement is supposedly met and the American family can swoop in and take the child back to America. How clear does Uganda need to be? How spelled out do they need to make the law? It's even written in English. You must live in Uganda for at least one year to adopt a child. Is it really that hard to understand? But hey, I guess if Madonna is able to ignore adoption residency requirements, then anyone can. Some will say, Well, adoptive families wouldn't be able to get away with it if it wasn't okay. Really? Then they obviously have never lived in a developing country before. They have absolutely no idea the depth of the corruption that they are enabling, that they are contributing to, in the name of rescuing a child. If you're feeling called to adopt, choose a Hague-Convention country. Do your homework; don't just trust your agency. Ask the hard questions. Read the country's laws for yourself. Support adoption reform. Remember that adoption corruption is rampant and you cannot assume the best. Please, please, America (and it really is mainly America), let's learn this lesson. In the summer of 2003, Gil and I returned from our first term in Tanzania. We had been broken in just about every way imaginable. I had been mentally ill for at least a year of our two-year term. We had been criticized and left on our own in ministry. We had no idea what we were doing in our very young marriage and hurt each other deeply. And the guy we invested in most had stolen from us. But we had more disillusionment waiting for us back home in California. Though we had been sent out with much fanfare, our return was a lot less enthusiastic. Not one group in our home church asked us to share about our time in Tanzania. So we put together two evenings in our home for people to come hear about it. We sent out about 50 personalized invitations to all our supporters and friends. We cleaned our little apartment and I spent the afternoon cooking Tanzanian food. The first evening, four people came. The second one, no one came. It was the proverbial straw that broke the camel's back. Gil and I both slipped into depression. Yet despite all of that, two years later, we went back to Tanzania. And now it's been almost 13 years. So what does that make us? Saints? Martyrs? Angels? or....Stupid? We did it for the joy. 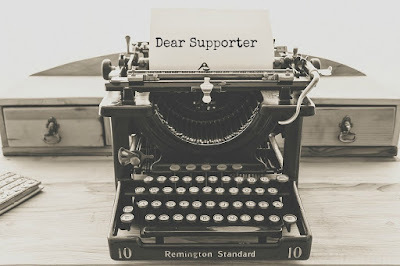 Earlier this week, many of you read the post I wrote for A Life Overseas, called Dear Supporter, There's So Much More I Wish I Could Tell You. I wrote that post in a very general way, so that other missionaries could use it and share it. And though everything I mentioned was true of me, it was true over a 12-year span. It's not necessarily true now. 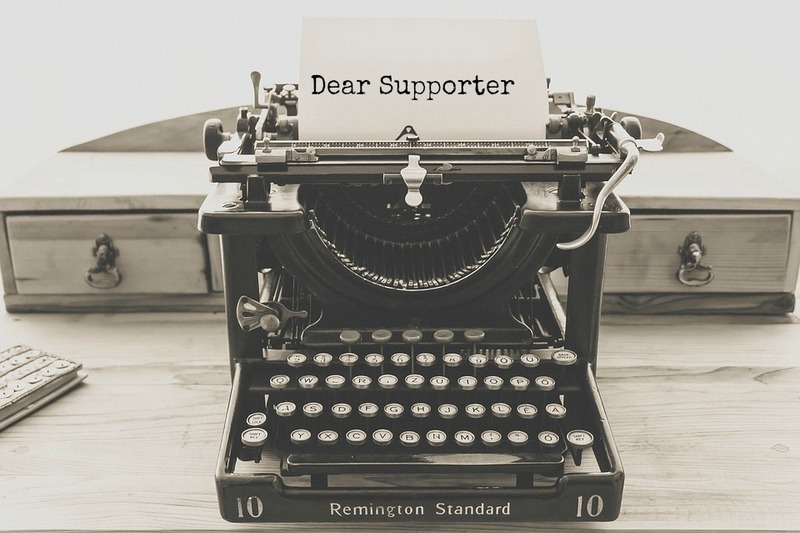 I am glad you read it, but I kept thinking that I wanted to say more to you--the people who know me personally, either in person or through my writing. Yes, I have often felt like a failure. Yes, I have just as many personal sins as any Christian anywhere. Yes, I have often struggled with what to tell you because I fear your judgment. Yes, I have often felt disconnected with those who sent us out. But I am not faking the joy. We returned to Tanzania because there was a significant need we were gifted to fill. And there is joy in significance and there is satisfaction in filling a need. There is always joy--in a deep conversation with a student, in that light that goes on when someone understands an important concept, in a changed life. There is joy in learning. There is even a way to find joy in feeling ignored or going without or being afraid because of how hard things points us to Jesus. True, we had a lot to learn. Sometimes I see those 20-something young people, with passion in their eyes and fire in their bellies, ready to go change the world for Jesus. And I want to pat them gently on the head and say, Be teachable, Younglings. You have no idea what is about to hit you. Gil and I pushed through the difficult years of early marriage--through 6, 7, 8 years (it takes a long time, doesn't it?) before heading out into relatively peaceful waters. We pushed through thousands of cultural mistakes into a place where we could have a voice here. We persevered through years of struggle of living in a developing country. When I look back on the early years of this blog, I am amused by how many posts were about electricity and driving and shopping. How much it consumed me then, and how little I worry about it now in comparison. Part of that is because Tanzania has changed for the better. Part of it is because I just got used to it. And part of it is because we adapted our lives, like when we purchased two forms of back-up power. And we adapted our expectations for our support back home. We don't sit around and wait for people to come to us anymore. We realize that people are busy and distracted (just like we are!) and it's unrealistic (and arrogant) to expect a red-carpet. So instead, we take the initiative to come to you--to your groups and meetings--and we find that once we are there, people are very interested and supportive and encouraging. We've learned and grown a lot, but we've also changed our expectations, and that's half the battle. So yeah, there's the failure, and the loss, and the rejection. But what I also want to tell you is that the joy keeps increasing, and increasing exponentially. When students come back and tell us about the impact they are having on others. When pastors come back and tell us that their church went from 10 to 105 in one year. When we can get through new struggles because we have the experience of the old ones. We have incredibly deep friendships here. We have fun. We like life, most of the time. The longer we stay, the more the joy increases. It just took a while to really get going. I do want to be real with you; I do want you to understand what myself and other missionaries feel and experience. But I don't want you to either put me on a pedestal or feel sorry for me. Many years ago, I believed John Piper when he said Missions is gain! Missions is hundredfold gain! And I believed Jesus when he said that if I gave up houses and family that I would get a hundredfold in return. That in losing my life I would find it. I don't know if every missionary you know is there yet. I don't know if I could have said it myself ten years ago. But the longer I live, the more God's promises prove to be true. I wrote you a newsletter today. I told you about the success in our ministry, about the lives being touched and the happy stories. Everyone was smiling in all the pictures. But there is so much more I wish I could tell you. I wish I could tell you that lots of times I feel like a total failure. I’ve asked you to pray for the Big Event, or the Camp Sign-Ups, or the Grand Opening. You might not realize that afterwards, I don’t always tell you how it went. That’s because sometimes, despite weeks of hard work and lots of prayer, the event is a total flop. Five people show up. Or no one. And I can’t bring myself to tell you. Then there’s the time when I realize that I’ve hurt a national friend. Or a missionary colleague and I are having a huge conflict. Or I’ve made a major cultural mistake. Or I’m just not learning this language. Or everything blows up in my face. There are many, many times when I wonder why I’m here, or if I really am the right person for this job. But I’m afraid to tell you, because then I think you will wonder why I’m here or if I am the right person for this job. I wish I could tell you about my personal struggles. Sometimes I feel like you make me out to be more spiritual than I am, but I wish you knew that becoming a missionary didn’t turn me into a saint. In fact, sometimes I think it brings out the worst in me. I wish I could tell you about the immobilizing depression or the fights with my spouse. I wish I could tell you that my anxiety was so bad that I needed to travel to another country to see a professional counselor. I wish I could tell you about that time my friend was robbed at gunpoint in his home, and I couldn’t sleep for weeks afterward. I wish you knew that I hate it here sometimes, and there’s nothing more I want than to go home. But I know I need to stay, so I don’t tell you because I’ve heard the stories of friends forced to go home because they confided in the wrong person. I don’t tell you because I can’t imagine you would want to support such a flawed person. Read the rest over at A Life Overseas.